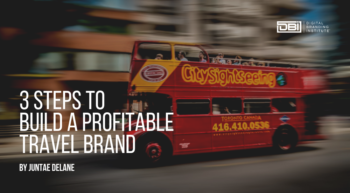 Whether you already have a successful consulting business or are just starting out, building a consulting brand can greatly benefit your business. So, if you’re looking for a stronger digital presence, want to create an online following without frustration, or want to build up your client list and close more deals, then you need a consulting brand. In three easy steps, you can take your brand from obscurity and place it into the public eye. Defining your consulting brand is about getting clear in your message. Also, you need to let your audience know how you are uniquely positioned to serve them. So, when asked: what do you do? You need to have a central focus. You can’t just go on about your services and offerings. This doesn’t tell your target audience who you are, and will leave them confused. If your target audience is confused, then they will be turned off. They will likely leave and find your competitors who have been more explicit with their objectives. A solid pitch will allow you to distill down to the purest form, precisely who you are. It will let people know what you offer. That focus can help to set you apart from all the competition. Also, understanding exactly what you want from your digital brand will make the process of digital branding so much more streamlined. Your pitch is what will define you throughout the internet, so write down a few sentences that say who you are. Your pitch should include your name, your company, your product, who your target customers are, what makes you unique, and a call to action. These inclusions will make it easy for your target audience to know they’re in the right place when they read your name. It is important when you write your pitch to make sure that you have prioritized clarity over cleverness. If you try too hard, your target audience will see that and be turned off. Also, they might not be able to understand your pitch at all. Be concise and be specific to get the best results from your pitch. It’s essential to have a brand slogan in the digital space. This is because there is so much information online that it would be impossible for anyone to take a deep dive into all of it. As a result, you need to do more with less. So, you must establish your brand slogan and display it online to gain the attention of potential customers quickly. Again, this is important because, in a world where people are surfing the Internet and bouncing off pages, you’ve only got a few seconds to communicate what it is you have to offer. When you create your brand slogan, you want to be unique. This is just a few words that people will associate with you that will define your brand. The type of slogan that you use will depend on what your consulting business focuses on. Your slogan should stand apart from the slogans of any other business you’re competing against. If you were to make a Venn Diagram with customers and products, that sweet spot in the middle is where you have the opportunity to make the most significant impact on your following. Find the place where your service will intersect with your target audience and then talk about it. Make your audience aware of what they are missing. Fill in the overlapping circles with your consulting business. 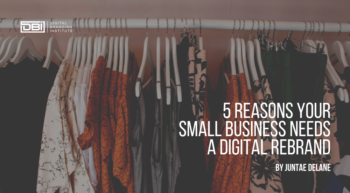 People almost always look up businesses online before working with them. This means that in most cases, your target audience will interact with your digital brand before they associate with your physical brand. So how do you make your consulting brand ready for digital searches? If you are serious about your consulting branding, then you should use a self-hosted WordPress website. WordPress makes it easy to create a webpage that has some pretty sophisticated functionality. You can utilize things like blogs and message boards without knowing how to program a single piece of code by using platforms like WordPress. There are a few ways for small businesses to grow their email lists. The first is to offer an incentive. This is how you woo your target audience and help them to realize you have something valuable to provide them with. These work similarly to an opt-in form on your website, but take place in the real world. Being a consultant is like being in a continual popularity contest. What will make you a favorite and sought-after consultant is the degree to which you’re followed, invited, and cited. Therefore, these factors will make you seem like less of a risk to your potential clients. It is important to pick just one social media site to work on to prevent being overwhelmed. For many consulting brands, they started with Twitter, but you might want to focus on Facebook or LinkedIn. However, this can be different for every brand. First, find out where your clients are spending time online. Then focus your efforts there. It’s better to have a significant presence on one social network than a diluted presence on several. Remember that if you’re thinking more about strategy and less about providing real value and real conversations, your clients will feel that. AS a result, your efforts will become tedious to them, and they will grow tired of you. This is why you need to remain genuine on social media with your target audience. This is a part of your digital brand that will remain a part of your day to day work. Sometimes it can be in your best interest to find digital branding services that can help to manage this work for you. Many consulting blogs are floating around on the internet that you can get involved in. These blogs have the great benefit of already having an audience that you can take advantage of. So, finding blogs in similar spheres as yours are a great start. Just start by participating in the comments section and see if you can be a guest blogger for them later on. Nothing can grow your consulting brand quite like guest posting. 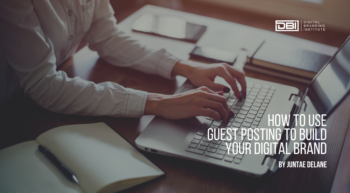 Guest posting is also great for search engines. This is because you get back-links from those posts on somebody else’s site, back to your site. It will introduce you to new communities. As a result, your ideas will spread more freely. You don’t have just to keep pumping out brand new pieces of content for your clients. You may feel the pressure to create more and more content to stay relevant for your clients. This can be an overwhelming feeling. If you have several different problems that tend to come up that are similar to solve, you can repurpose the same content to address the various issues. This will make content creation easier. However, it also gives your target audience access to solutions. If you follow these three steps, you’ll be well on your way to developing a stellar consulting brand. First, define your brand. Narrow your focus and decide who you are. This will make sure that your clients know who you are. Second, build your consulting brand. Create your website, social media presence, and email list. Find new ways to reach out to people who could be interested in your expertise. Then, add them to your lists. Lastly, manage your consulting brand. This is a task that will never go away. It will always be important in making sure your brand stays relevant. These three steps will guarantee you a successful consulting brand. What ways have you seen consulting brands set themselves apart?